Bone substitute biomaterials are fundamental to the biomedical sector, and have recently benefitted from extensive research and technological advances aimed at minimizing failure rates and reducing the need for further surgery. 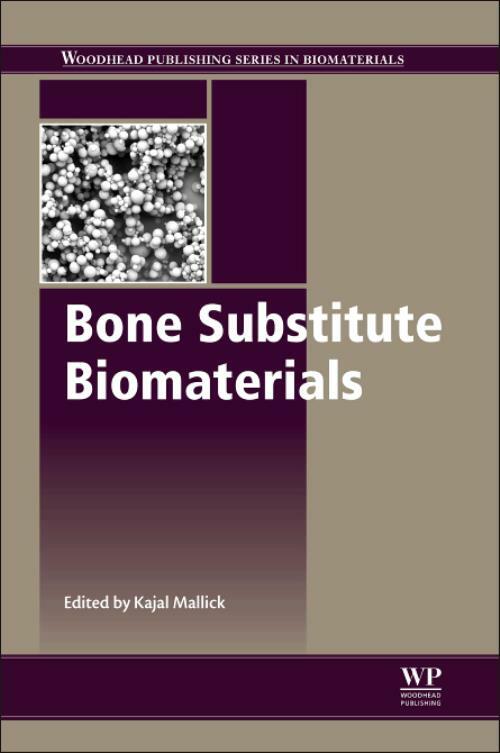 This book reviews these developments, with a particular focus on the desirable properties for bone substitute materials and their potential to encourage bone repair and regeneration. Part I covers the principles of bone substitute biomaterials for medical applications. One chapter reviews the quantification of bone mechanics at the whole-bone, micro-scale, and non-scale levels, while others discuss biomineralization, osteoductivization, materials to fill bone defects, and bioresorbable materials. Part II focuses on biomaterials as scaffolds and implants, including multi-functional scaffolds, bioceramics, and titanium-based foams. Finally, Part III reviews further materials with the potential to encourage bone repair and regeneration, including cartilage grafts, chitosan, inorganic polymer composites, and marine organisms. Professor Kajal Mallick was formerly associate professor of the Warwick Manufacturing Group at Warwick University, where he headed the Tissue Engineering and Ceramic Processing research group (TiECep). He has authored many papers on biomaterials in leading international journals.